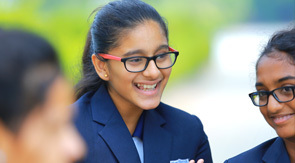 Manchester International School is one of the most popular and trusted schools in Coimbatore, Tamil Nadu, India that combines the best of education practices in a child focused environment. If you also want to be a part of a growing school then please feel free to contact us for partnering programs. Manchester International School will provide excellent support to their franchisees. The franchisees will be provided with personalized support, guidance, recruitment & training support, systems & quality control and academic R&D support as well. With so many benefits and superb support from the Corporate Office, owning a Manchester franchise is surely an excellent idea for any aspiring educationist. Manchester International School offer you a wonderful opportunity to convert your dream of starting your own school into reality.